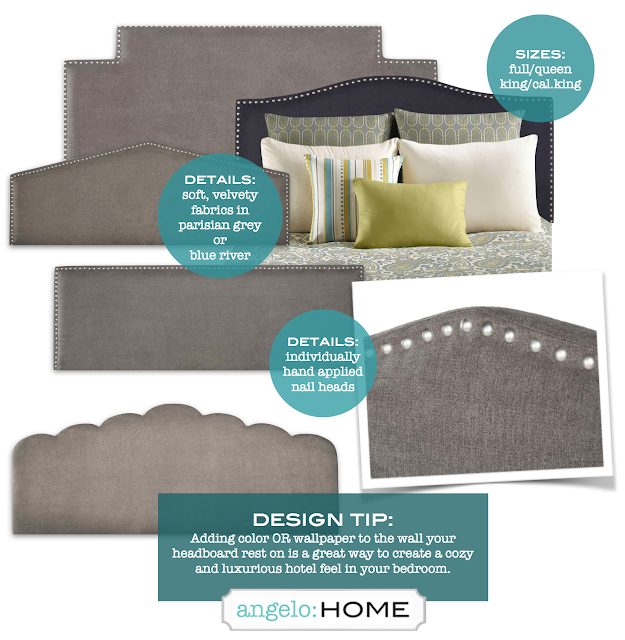 1) Adding a soft, plush headboard with lots of details. 2) Don't forget about great comfortable bedding. 3) Use paint or wallpaper on the wall that your headboard/bed wind up on. This helps create a cozy and stylish boutique hotel feel. Check out all our comfy headboards, beds, bedroom furniture and bedding HERE.